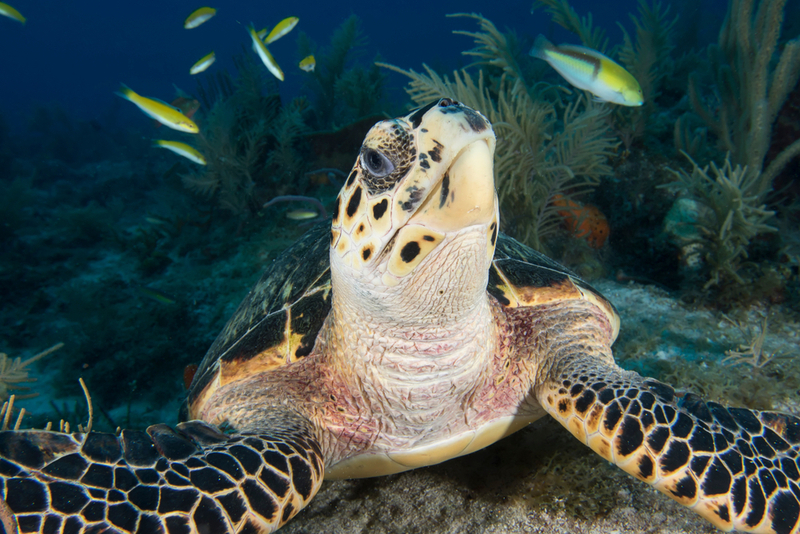 Turtles were a necessary food source in the Florida Keys since the days of its earliest inhabitants. Over time, the meat became sought-after as an exotic delicacy, used by big-city restaurants in Europe and the United States. This wasn’t lost on Key West Conchs at the time. Locals were quick to adapt as a basic need of survival by using what was available, such as ship wreckage, underwater sponges, Cuban cigars, and – why not? – turtle meat. In 1895, a chef to a New York millionaire and financer opened “Turtle Kraals” on the Key West Bight. "Kraals" is an Afrikaans word for corral, which is where the freshly-caught green turtles were kept before slaughter at the adjacent slaughterhouse. The chef started the operation as means to make fresh turtle soup in his northern restaurant, much to the excitment of New Yorkers. All parts of the turtles would be harvested, from the animal's meat and fat (for consumption) to its skin and shell (used for jewelry and leather goods). Key West produced the vast majority of turtle canning in the states during that time, and the all-in-one operation was significant, however small. Money was good for locals – fisherman were paid $30-50 per turtle. Because sea turtles must always come to the surface to breathe, they were all too easy to find in the surrounding waters of Key West. Fortunately for the turtles, this particular exotic meat fad didn’t last long. Unfortunately for the turtles, the overharvesting of these shelled reptiles is what makes them endangered today. Which brings us to the present: Turtle Kraals in Key West. The small fish house and site of the holding pens still stands at 200 Margaret St. on the Key West Bight. The site of the former kraals is home to the Key West Turtle Museum, which is a small, free museum focused on sea turtle conservation efforts. Stop by to learn about sea turtles and the impact of conservation measures that began in the 1950s. As for the cannery building at 231 Margaret St., the space has been transformed into a popular restaurant that hosts turtle races every evening. Aptly named Turtle Kraals, the waterfront restaurant bar features outdoor seating and one of the best happy hour deals on the island. Plan an outing to visit the old cannery and the modern-day Turtle Kraals for a piece of history and a meal pleasantly void of turtle meat. Thinking of a vacation to the Florida Keys? Book with 24 North Hotel for a seamless stay in Key West.